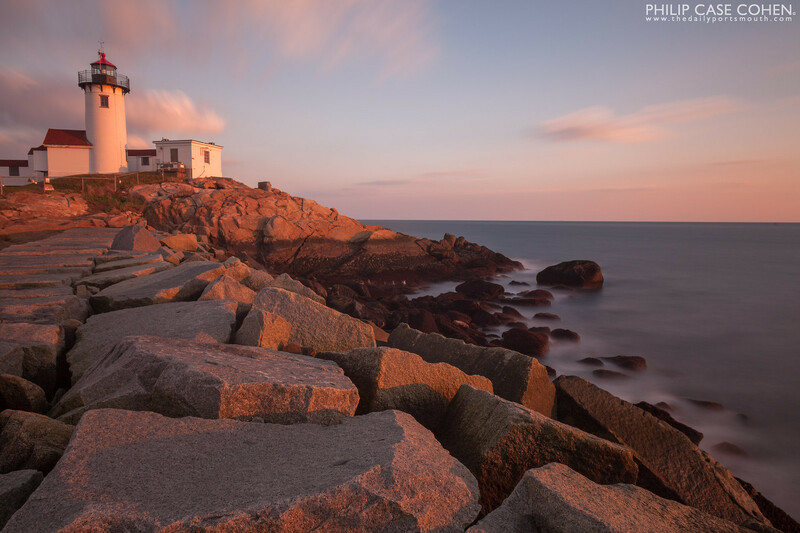 If you have spent time in Portsmouth in the past few years, chances are that you had to do some searching to find a parking spot (especially if your visit started in the evening hours). 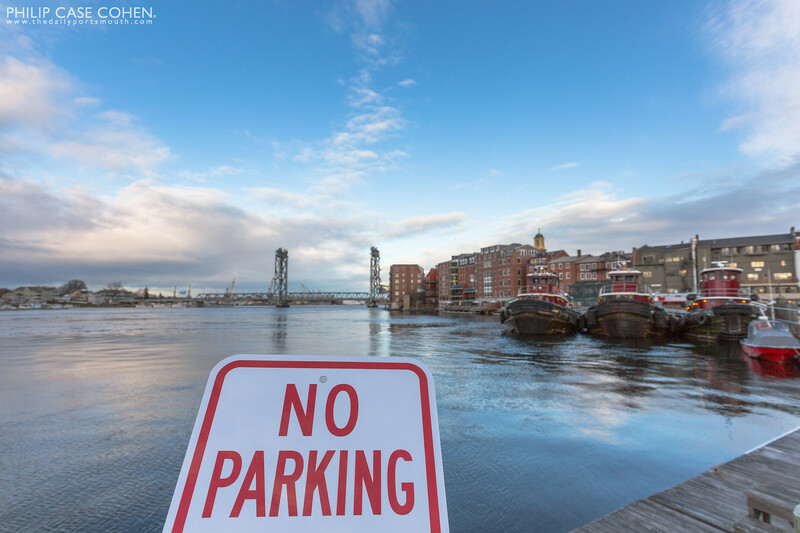 Portsmouth has an acute parking shortage and the city has been working to identify a location for a new parking garage for more than a decade. On Monday, May 4th, people will have an opportunity to speak in support of a bonding request to FINALLY build a new parking garage. Some people think that a shuttle and a location outside of the city’s downtown represents a cheaper and better solution for the parking problem, but I strongly disagree as it’s a more expensive long term band aid to address the issue. Please consider going to City Hall on May 4th. Visit Portsmouth Parking Problems on Facebook for more information on how you can help. 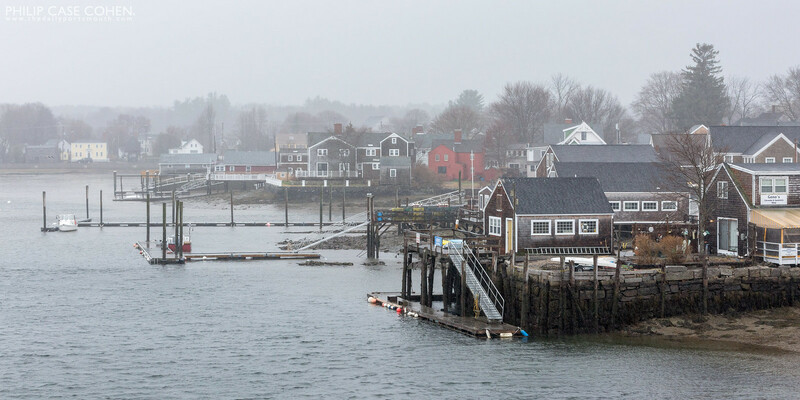 Piers and floating docks amidst the steady rain of early spring in Portsmouth’s South End neighborhood. The early morning light grazes the undersides of the clouds. 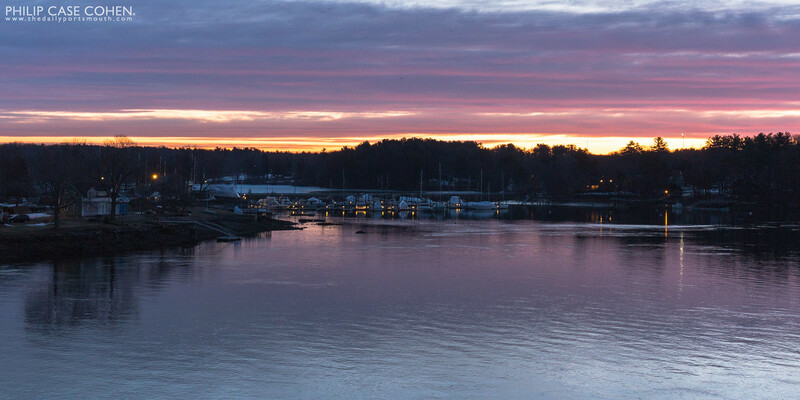 The spring sunrises and sunsets have been beautiful – all of the early and late date color helps to forget about the snow.